Product prices and availability are accurate as of 2019-04-20 12:56:17 UTC and are subject to change. Any price and availability information displayed on http://www.amazon.com/ at the time of purchase will apply to the purchase of this product. Red Devil Onetime Fiber Mesh Crack Patch is an easy way to repair and reinforce reoccurring cracks in drywall & plaster. The product is self adhesive and can be used inside or outside. 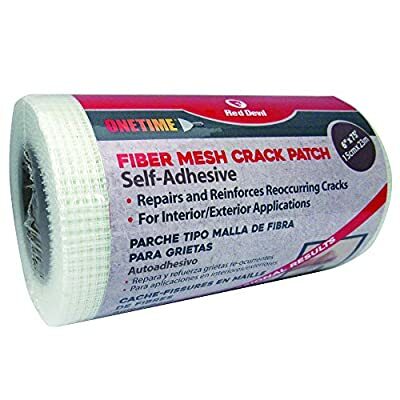 Simply cut to the needed size, peel the liner backing from the fiber mesh and adhere to your wall or ceiling. 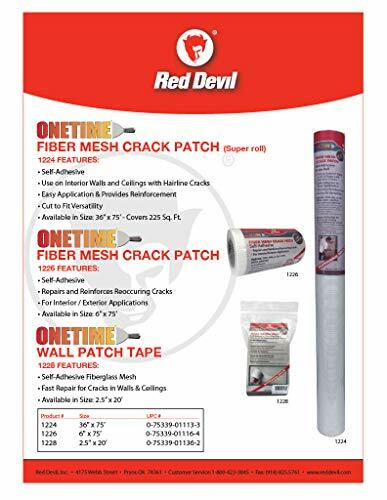 Use a putty knife to apply Red Devil Onetime Spackling (sold separately) to the repair area, lightly sand and smooth once dried and the area is now ready to be painted, textured or wallpapered.